It closed my document (thankfully giving me a chance to save), and now the program refuses to launch until updated. If you’re like many people, you hate it when the user interface of a site changes. You’re accustomed to one thing when suddenly it switches. Users don’t hate change. Users hate change that doesn’t make their life better, but makes them have to relearn everything they knew. I urge you to read the rest of the article as well; it lays out a compelling case for restraint on the part of developers, and sets a high bar for the benefit that a change should bring. Still, sites will keep changing and some do a better job than others at informing you. 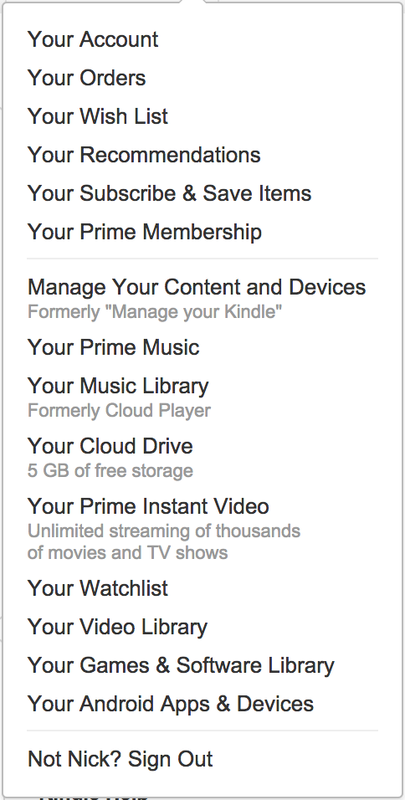 Unlike the gratuitous tours and full screen popups that the article calls out, I found Amazon’s solution tasteful. They renamed a few items in their navigation bar, but rather than making the change wholesale, they left behind the old labels underneath the new ones. This allows you to find what you’re looking for more easily. Until you become accustomed to the new label and that one changes too. 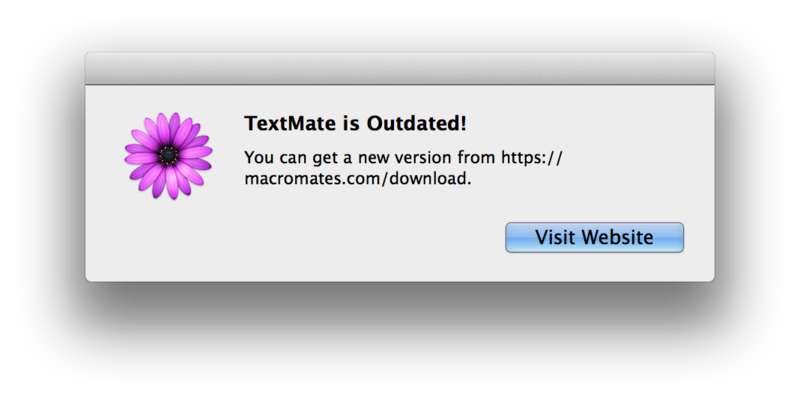 Ahh, software. I was taking an OpenTable survey about a recent dining experience, when I noticed a poor piece of user interface design. The last question asks about the noise of the restaurant. Quiet – reasonable first choice. Moderate – yup, still with you. Energetic! Yes. What could be louder than energetic? This is a rather strange (and bad) choice for an option, as it doesn’t follow the convention of the other controls on the page (or that I’ve ever seen on any survey ever). I would wager that more than half of the entries in their database they get for the “Do not recall” entry were intended to be “extremely loud” but the survey participant didn’t even stop to see the text change but instead assumed that the largest value would correspond with the loudest entry. This design is a clear violation of the Principle of Least Astonishment, since it violates the strong convention that on a survey, lower is to the left and higher is to the right. Furthermore, a ‘do not recall’ answer should either be inferred from not answering the question, or by an alternate control (e.g. a checkbox) that would disable the control with the noise level readings. I recently had the opportunity to speak with William Wilson, the man behind Fret Tester, the best guitar fretboard learning application available for iOS, and one of the nicest designed apps I’ve used. 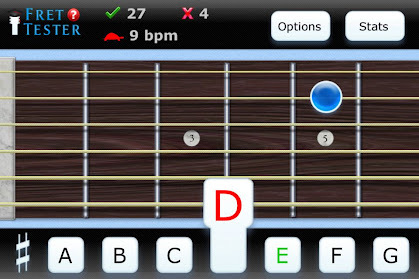 I wrote about its great UI features in my previous post, The Best iPhone Guitar Fretboard App: Usability Lessons Learned. I wanted to pick the designer’s brain to see what lessons he could impart about designing usable applications. Here’s what he had to say. Please tell me a little about your background. Do you design mobile applications for a living or as a hobby? I’m actually a professional guitarist. I make my living teaching and performing classical and Spanish guitar in San Diego. I’ve always loved programming, starting with Basic, then HyperCard, Java, Flash, and eventually C. I started designing apps for my guitar students as a way to compete with Guitar Hero. I got tired of hearing: “Sorry Mr. Wilson, I didn’t practice, but I played Guitar Hero, does that count?” My first attempts were in Java, and were really awful. I’ve since done about 15 flash games (on my site guitargames.net) and 4 iOS apps. I’ve mostly learned from books and online tutorials. Right now it’s a hobby, but I’d love to do more of it. As a musician first and foremost, what were the deficiencies you saw in the other published guitar apps and how did you aim to address them? Traditionally when learning the neck students start with the natural (not sharp and flat) notes. That way they establish landmarks on the neck. I didn’t see this feature being a big part of any app. For me having the iPhone version just display the natural notes made sense (with a button to shift into sharps). Plus it’s tough to fit 12 buttons on the screen without clutter. One of the biggest challenges I saw was how to zoom in on the neck. With many of the apps, I tried I lost a sense of where I was on the neck. But if the whole neck was shown it was too small. I decided to have my app zoom to the area that was being tested, but to allow sufficient area on either side so the user had a sense for where they were. Plus I included the option to zoom all the way out should the user prefer it. Related to this, I thought many of the apps lacked reinforcement. When you pushed the correct answer your finger covered it. I added the key style buttons so users could see what note the pushed and thus reinforce the correct answer. How have your students received your work? Have you seen a measurable improvement in their progress? I wish I could say that the app was a runaway success with my students… Unfortunately there is a mindset out there that you aren’t practicing unless you have a guitar in your hand. Mental practice is too often neglected, both with note naming and music theory. For the students who have taken my advice and used the app I’ve seen good things. I think separating the mental and physical complexities of the guitar is the way to go. What advice would you offer to other people who are not programmers by trade but have an idea for a program or application that could simplify or improve some aspect of their everyday life? What resources have you found that were useful in turning your dream into reality? There are tons of great resources out there. I always recommend http://masters-of-the-void.com/ as a first step. Also Steven Kochan’s Programming in Objective C is great for learning to write for iOS. Outside “traditional” programming there were three books that greatly influenced me. One is The Non-Designer’s Design Book by Robin Williams, it will help you design a decent looking app. Second is Dave Woolridge’s Business of iPhone App Development, make sure you can sell one or two before you spend a year creating an app. And finally Don’t Make Me Think by Steve Krug, a guide for good UI principles. Also I would say make sure to beta test often. I had about 8 people test Fret Tester and learned something from everyone. I like to hand someone my phone and say, try this. You’d be amazed at how they struggle to find something you thought was obvious. You mentioned making sure that you can sell a product before you invest too much time in producing it. How do you recommend that app developers do this? Do you create a bare bones v 0.0 prototype and put it on the app store to gauge interest? Or do you have an alternative technique for market research? First I look around and see if there are similar apps already out there. If there are a ton, and they’re good, I move on. If there are none I also move on, since there probably isn’t a market for what I’m designing, I want to at least see things that are similar. My goal is to design an app that reaches an already existing need. Not that I’m always successful in it. After reading Woolridge’s book, as well as listening to Seth Godin’s Purple Cow (Audio Book) I’ve improved in this area. I also just talk to people about my idea. If my wife looks at me like I’m nuts (which happens frequently) I try to rethink things. Are you working on any new projects currently? Or do you have ideas for the next thing you want to work on? Yes, I’ve been playing around with Adobe’s new Stage 3D and the Starling Framework. It seems promising. I’m hoping to release my first game using it soon. It is called Tab Warrior and is kind of a cross between Fret Tester and Space Invaders. Also, I’m going to try my hand at an Android app this year. Great to hear. Thank you for taking the time to speak with me. Do you have any parting thoughts for the readers? One thing I read in Apple’s docs was to only include features in an app that 80% of users will use. That totally changed my approach. If you look at Apple’s success I think its largely the result of keeping things simple and easy to use, and gearing products for the average user. Take the same approach in your apps. Thank you to Mr. William Wilson for granting me this interview. You can find more about him on his website, WilliamWilson.com. See my Google+ album for more screenshots of Fret Tester.